Mandy Haeburn-Little became CEO of the Scottish Business Resilience Centre (SBRC) almost 8 years ago after a career in the private sector. Mandy co-chairs the Scottish Government’s Cyber Resilience Strategy private sector activity, chairs the Cyber Expert Group for Scotland and Scottish Law Enforcement’s Cyber Business Fusion Hub Committee. 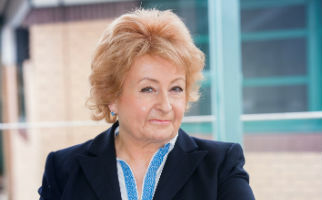 She sits on the Serious Organised Crime Taskforce for Scotland, chairs a network of Scottish trusted cyber security companies (‘Trusted Partners’) and is a key joint partner to the ‘Cyber Quarter’ city deal with Abertay University which is valued at £11.7m. SBRC has its own cyber commercial division, Curious Frank, comprising ethical hacking students, which has been offering innovation services to business for the last five years. SBRC’s cyber model is currently being replicated elsewhere in the UK.